Help children head to the classroom feeling their best by making and assembling hygiene kits! Help make a no-sew cloth bag to hold the hygiene items. Learn about the Naperville Education and Indian Prairie Foundations and how they help families in our community. This is a great way to build empathy, demonstrate kindness and have fun volunteering with as a family. We’ll provide the supplies, cloth, buttons and the expertise to make the bags. Additionally, we will have some hygiene supplies to put in the bags. We’d appreciate it if you could bring a donation to help fill the bags. Any of the following would be greatly appreciated: individually wrapped bars of soap, washcloths, toothbrushes and travel-size toothpaste. Please no spray bottles of any kind. We’ll meet at the DuPage Children’s Museum at 3:30 pm and will wrap up around 4:30 pm. Space is limited. You must register to reserve your spot(s). 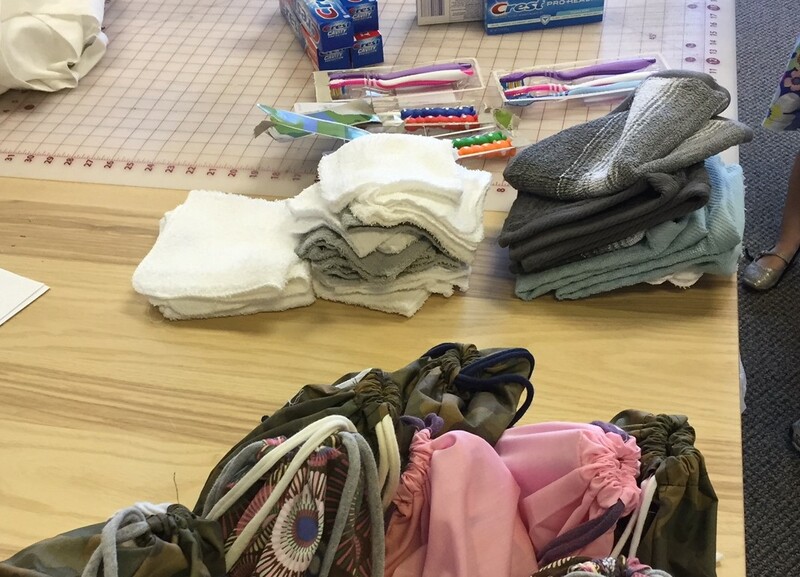 The cost is $7 per child (adults are free), which covers the cost of supplies to make the bags, time and organization involved in planning and executing the event.